In her book The Lake House, author Kate Morton takes three stories about children—a missing child, an abandoned child, and a child given up for adoption—and braids the stories together. The first and primary plait of the braid is about an eleven-month-old child who disappears in 1933 from a party at his parents’ lake house, Loeanneth, in Cornwall. The story opens with something precious being gently wrapped and buried on the estate the night of the child’s disappearance. Seventy years later, when Met Detective Sadie Sparrow is banished from London to Cornwall as the result of an investigative lack of judgment, the second plait forms. Sadie’s transgression occurs when, in her position as detective, she investigates an abandoned child, but can’t let the story go when her bosses declare the case solved. She takes her theory about a mother’s disappearance to the media, and her superiors immediately shuttle her off to Cornwall for a visit with her grandfather. While staying with her grandfather she discovers the old estate. She learns of the cold case mystery of 70 years earlier and becomes intrigued . . . or possessed . . . with solving it. Unable to let the intriguing story rest, Sadie begins to research the event and comes into contact with Alice Edevane, successful mystery author, the middle child of the Edevane tragedy, and current owner of the property. Morton is especially skilled at developing her characters and fleshing them out into reality. She dives deep into the psyche of each, raising details about their lives and what each knows about the night of the disappearance. The loss of the child, Theo, haunts the characters—both those who knew him and those who are just learning of him after so many decades. As the story progresses, each member of the Edevane family is designed and colored with his or her own personality. Eleanor, Theo’s mother, is distraught over the disappearance; Anthony, Theo’s father, takes control of the search while also attending to Eleanor’s distress. Alice Edevane first appears as a 16-year-old girl, infatuated with one of the estate employees. Her girlish love of the young man who is ten years her senior is met with crushing defeat. As Sadie’s investigation progresses, Alice begins to realize that secrets, regardless of their age, must at some time rise to the light of day. Her initial reluctance to help in the investigation eventually turns to assistance, when she gives Sadie permission to enter the house and uncover whatever lies wrapped in old dust. Woven into the story is the third plait of the braid as Sadie comes face-to-face with her own ghosts when the child she gave up at birth contacts her after 15 years, and Sadie must decide whether to meet the girl or let the past rest. In addition to being hounded by her investigation into Theo’s disappearance, Sadie now wrestles with a possible job loss due to her previous on-the-job indiscretion. Sadie’s investigative work with local characters, as well as family members who have kept secrets for so long, is rigorous and ongoing. She digs her heels into her search and uses the skills she developed as a detective with 10 years of experience to resolve this cold case. In the end, Sadie and Alice discover what happened to Theo, and this is the only part of the book that seems just a wee bit contrived. Having said that, it does not take away from the story on the whole, and it is left up to the reader to determine if it works or not. 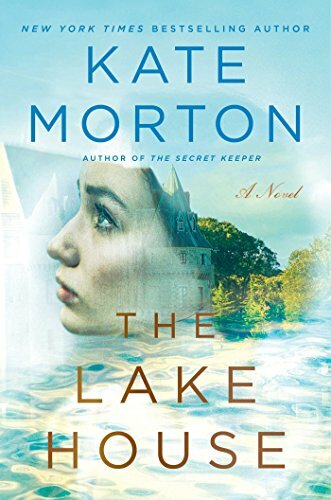 Morton ably ties up all the loose ends; Sadie solves the case of the abandoned child, and comes to terms with establishing a relationship with her own birth daughter. Her position with the Met comes to an end as she sets up her own private investigation business, letting us know that there may be more mysteries to solve with Sadie Sparrow in the future. Authors who move back and forth through many years of a story are often challenged to keep the story on track and not confuse the reader. Morton, however, moves back and forth through the seven decades of mystery without missing a beat. The story is easy to follow, the clues regarding the mysterious disappearance of the child are there for the eye to catch, the foreshadowing and red herrings make the story intriguing. There are some clues to relationships seven decades old that are easy to follow, other clues about events around the child’s disappearance that require the reader to pay close attention in order to think ahead and put the pieces of the puzzle together correctly. All the while the situations of the other two children wander in and out of the story to give it added depth. Morton’s grasp of the language and her strong vocabulary give clarity to her descriptions of places and events that allow the reader to sail through the book, not wanting to put it down. This clarity also gives the reader the ability to pick the book up after several hours and never feel at a loss as to where they are in the story.